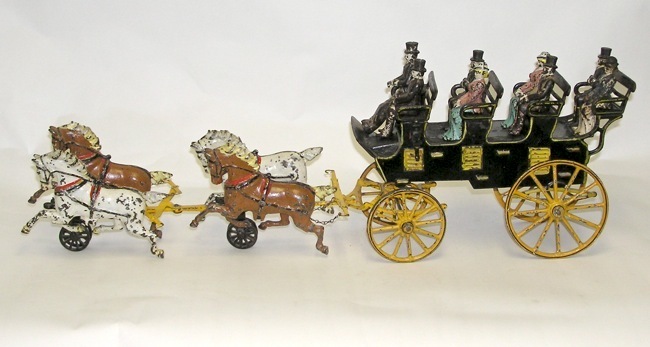 Here is a very desirable antique cast iron horse drawn toy. Only a few known to exist. 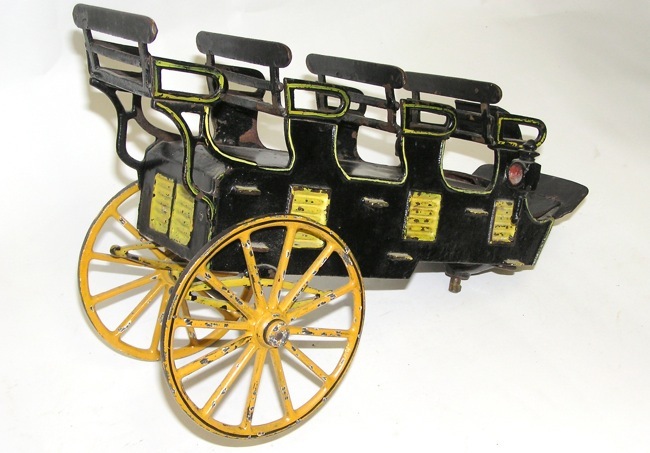 The Pratt & Letchworth four horse 4-Seat Brake. Circa. 1890. 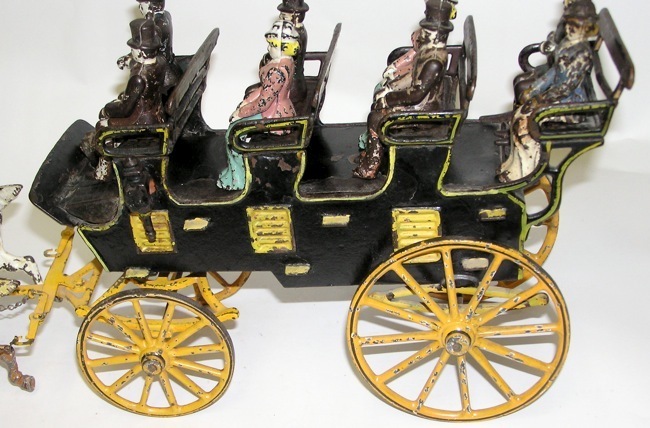 This has an open coach, painted in black overall with yellow trim. 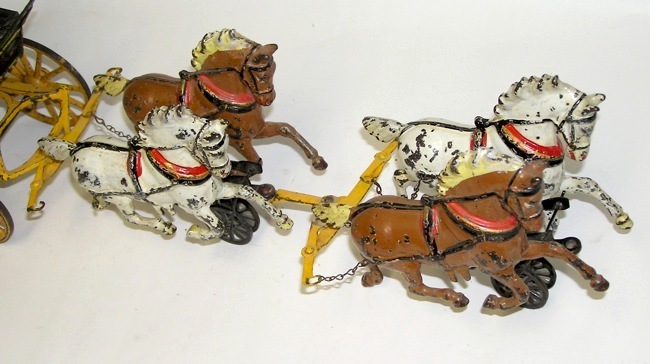 Features four horse team of two cream and two caramel horses. Has large spoke wheels are painted in deep yellow with black highlights. 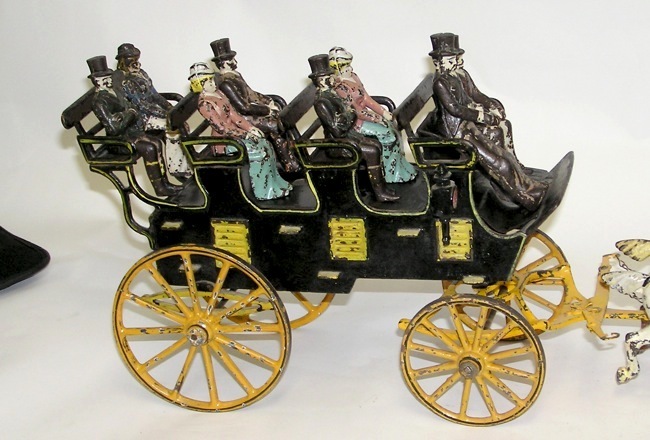 The top of the carriage seats eight original cast iron figures with one cast in blanket as driver. Truly a magnificent looking piece. This is in great overall condition with no breaks or cracks. 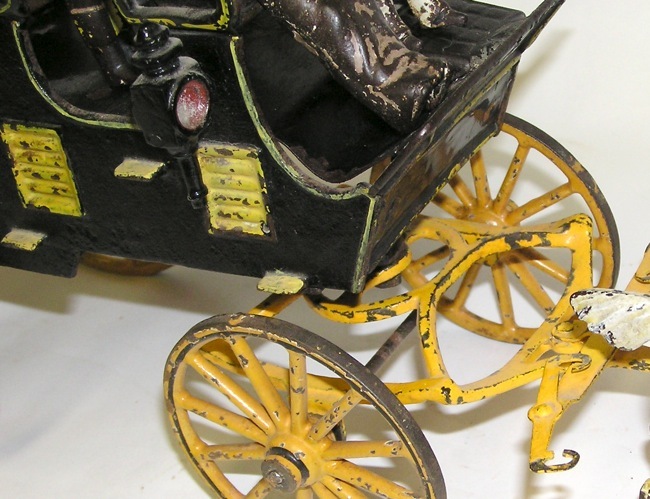 Black on the sides and some of yellow pin striping on the carriage has been touched up. Some wear to the black paint underneath as seen in the pictures. Horses are all original and in great shape. 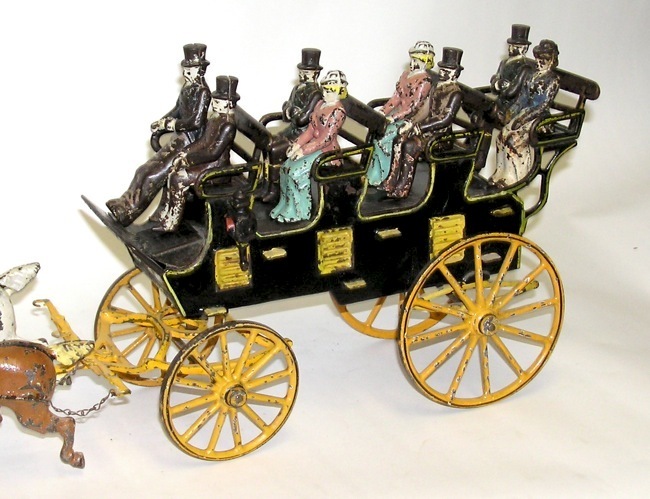 Recent auction results of a similar toy are here. This is a toy not to be missed. Thanks for visiting. Price: $12000 Purchase Item! Click for confirmation page, with paying options.